With all the news that has lately followed the Japan nuclear plants incident I think it is really important to be as informed as possible about the subject. 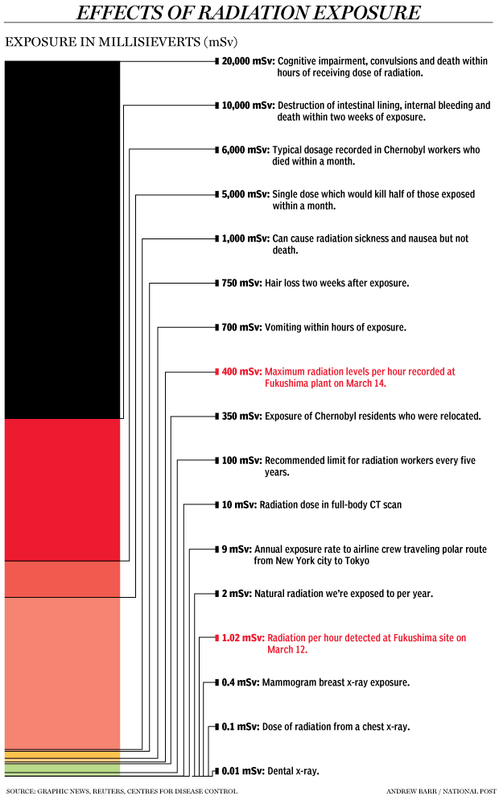 Today, vía twitter, I found this terrific diagram which gives an idea about the radiation levels that have been detected at Japan as well as the effects of different radiation exposure levels. All this is contained in the same scale to be able to do a direct eye comparison about the recorded Japan levels and the ones that produce distint damages to human body.